As you can see Democrats have a registration of 50.2%, Republican have a registration of 28.0%, and DTS have a registration of 18.2%. Republicans won nothing in this district back in 2010 but on an interesting note these are socially conservative Democrats as Prop 8 passed by over 20 points. Francisco Barragans total just utterly shocks me as I cannot believe he only got 605 votes. As you can see from the above numbers Moreno finished almost 18% behind Tom Daly and he was the only Republican in the race. On an interesting note Daly is not doing so well on fundraising with only $22,000 left in his account after the primary election. Sadly Moreno is doing worse without the fundraising ability to trigger online filing. 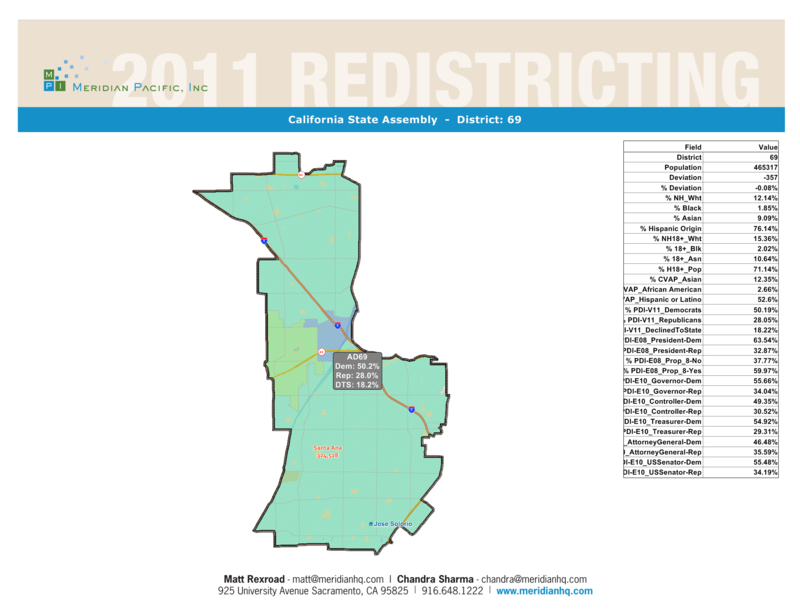 This entry was posted on September 18, 2012 at 2:14 PM	and is filed under 69th Assembly District. Tagged: Jose Moreno, Tom Daly. You can follow any responses to this entry through the RSS 2.0 feed. You can leave a response, or trackback from your own site. Julio could have done better……….if he actually lived there! And to think, he blew his shot at Anaheim Council, where he could have done EXACTLY what everyone is crying about. By “forever,” Emami means 1998.